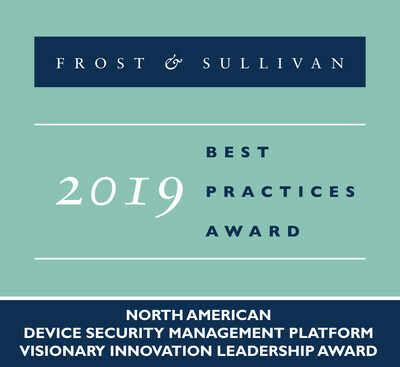 SANTA CLARA, Calif., April 2, 2019 /PRNewswire/ -- Based on its recent analysis of the device security management platforms market, Frost & Sullivan recognizes Mocana with the 2019 North America Visionary Innovation Leadership Award. Mocana's TrustCenter™ and TrustPoint™ automate and simplify the integration, provisioning and management of device security for resource-constrained systems such as internet of things (IoT) devices and operational technology (OT) equipment. The company's software development tools simplify the design and development of strong security for mission-critical systems. Mocana's solutions also help both commercial and military device manufacturers to comply with cybersecurity standards and enable tamperproof device and data integrity for their customers. "Using Mocana TrustCenter™, manufacturers and operators can automate the management of device security to meet the scale and security requirements for IoT devices," said Danielle VanZandt Industry Analyst at Frost & Sullivan. "TrustCenter™ provides zero-touch device enrollment and secure updates to reduce the cost of managing operational security. 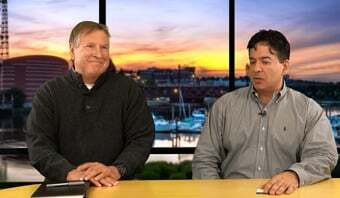 Mocana gives its clients the flexibility to manage every aspect of device onboarding, enrollment, and management to ensure supply chain integrity from manufacturing to the end of product life." Click here to download the Frost & Sullivan report on Mocana's innovation leadership. Mocana TrustCenter™ is an automated security lifecycle management platform that enables clients to manage the security credentials and software updates for IoT devices and embedded systems. Accessible via a web browser or application interfaces, the platform canbe installed on both public and private cloud infrastructure. Mocana TrustPoint™ is a comprehensive on-device security software stack for industrial and IoT that enables devices, such as sensors, drives, controllers, gateways and server-class systems, to protect themselves. TrustPoint™ is comprised of easy-to-use software development tools such as endpoint client software, source code, sample code, APIs and documentation, for both novice and experienced software developers. TrustPoint™'s trust abstraction capability helps customers simplify and accelerate software and hardware integration because it is pre-compatible with 30 real-time operating systems and more than 70 chipsets. Its full-stack architecture, along with its FIPS 140-2 validated crypto-library, fully secures customers' authentication protocols, cloud access, devices, gateways, and overall device and data integrity. By combining TrustCenter™ and TrustPoint™, Mocana enables customers to trust the IoT and OT devices on their network. 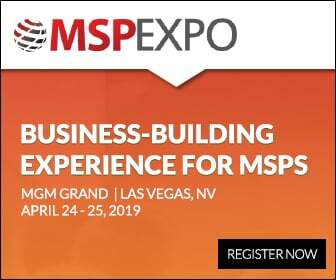 It makes end points tamperproof by leveraging a host of security features such as data and device integrity; encryption; scalable device enrollment; secure cloud interconnect; and verified boot integrity assurance. "The company has built a strong network of partners comprised of several security industry leaders such as Amazon Web Services, Arm, Digicert, Gemalto, Intel, Gemalto, GlobalSign, Infineon Technologies, Intel, NXP, Nuvoton, PrimeKey, Qualcomm, RTI, ST, Qualcomm, and Xilinx to ensure its technology integrates seamlessly with theirs," noted VanZandt. "Mocana's technologies protect more than 100 million devices, including commercial aircraft, fighter jets, helicopters, industrial automation and controls, medical devices, set-top boxes, surveillance cameras, tanks, and thermostats. Its game-changing technology and best practices are proving highly valuable in the security market, and will continue to drive its growth in the future." Founded in 2002, Mocana provides comprehensive and compliant IoT device security solutions to protect critical infrastructure. Mocana TrustCenter™ and TrustPoint™ automate and simplify the management of the IoT security lifecycle. Our proven cybersecurity software development tools simplify the integration of mission-critical security. Mocana protects more than 100 million devices and is trusted by the largest aerospace, industrial, energy, healthcare, and communications companies. www.mocana.com.